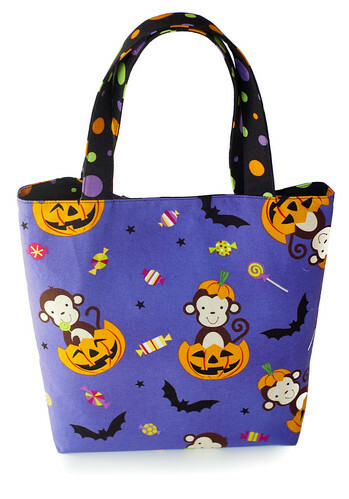 I wanted to make Lillian’s trick or treat bag for Halloween but struggled finding fabric that I liked. Then I found this adorable fabric at Hobby Lobby and didn’t have to wait any longer. 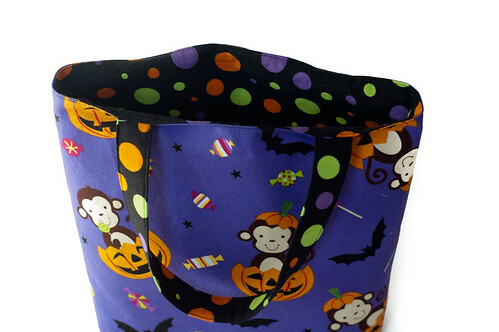 I made the bag the same way that I made the tote bags (found here, here, and here). 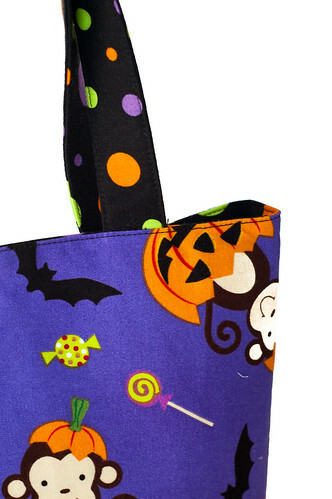 Except it has a wider bottom so that it’s easier to get candy in and out. I cut the pieces to 12 x 12 and two handle pieces to 15 x 4. I decided to make the depth 3 inches which means that when I boxed the corners I made them 3 inches all the way across. Lillian loves her bag and was pretending that it was her farmers market bag. She even put a few things in it and said that she was going to the farmers market and bought stuff for momma. I’m guessing she will love it even more when she gets “treats”, as she calls M&M’s, put in there.